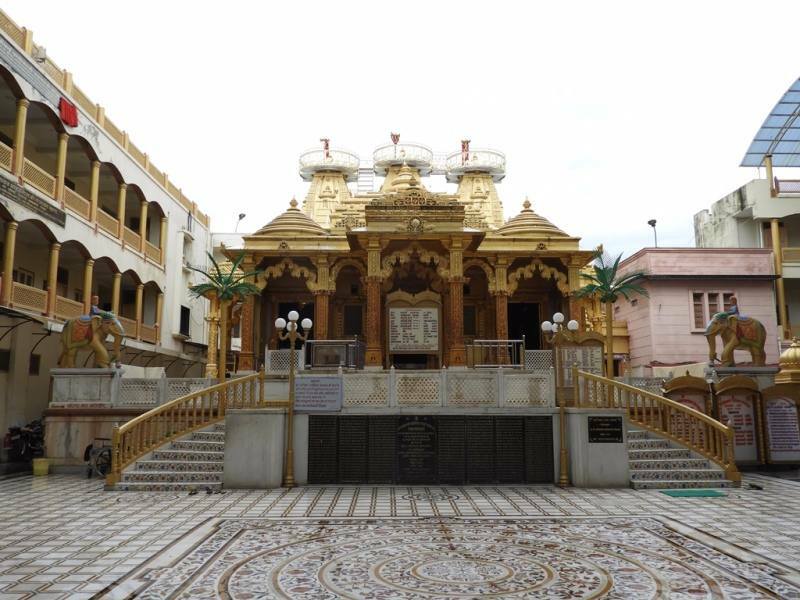 Shvetambar Jain Golden Temple Falna is a Jain temple located in Falna town of Pali district. 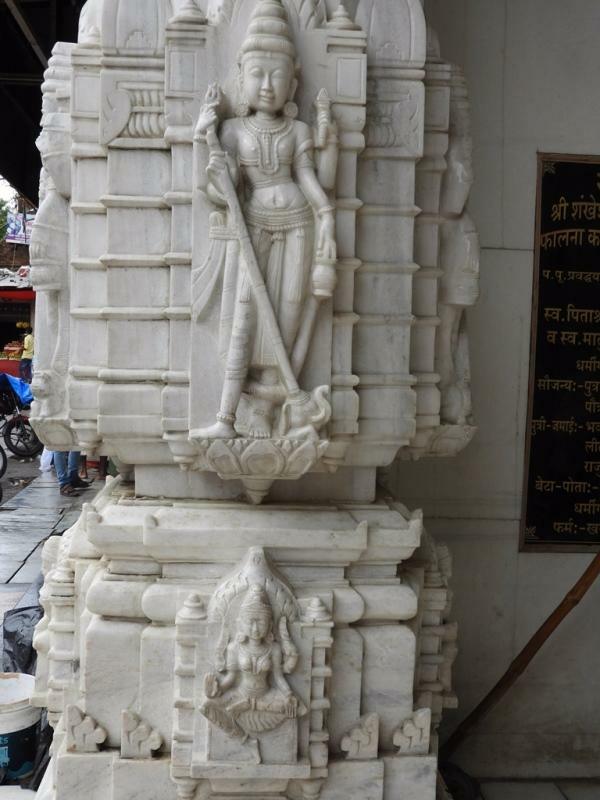 Temple is wwned by Jain Shwetambar Sangh of Khudala. 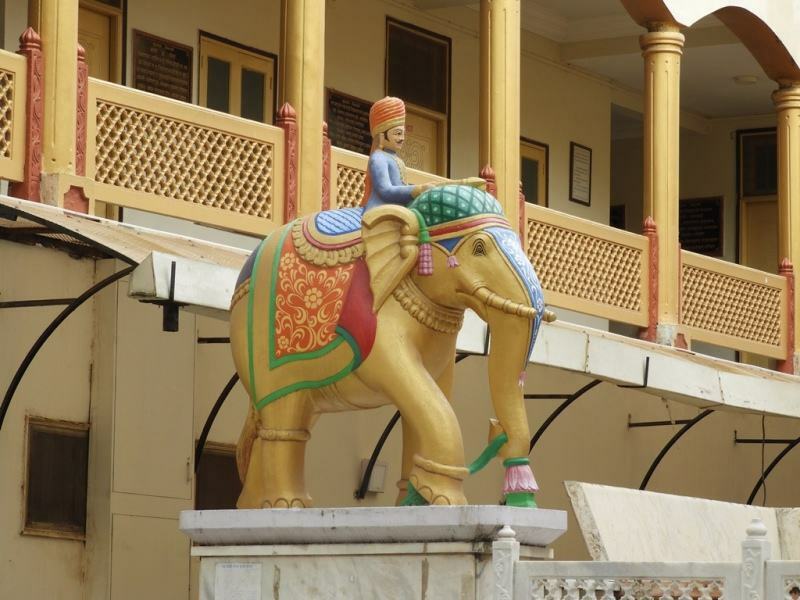 Falna is a town in Pali district and near to famous Jain Pilgrimage, Ranakpur. Falna to Ranakpur distance is just 35 KM and can be covered in one hour. It is a major worship attraction among Jain Pilgrims. 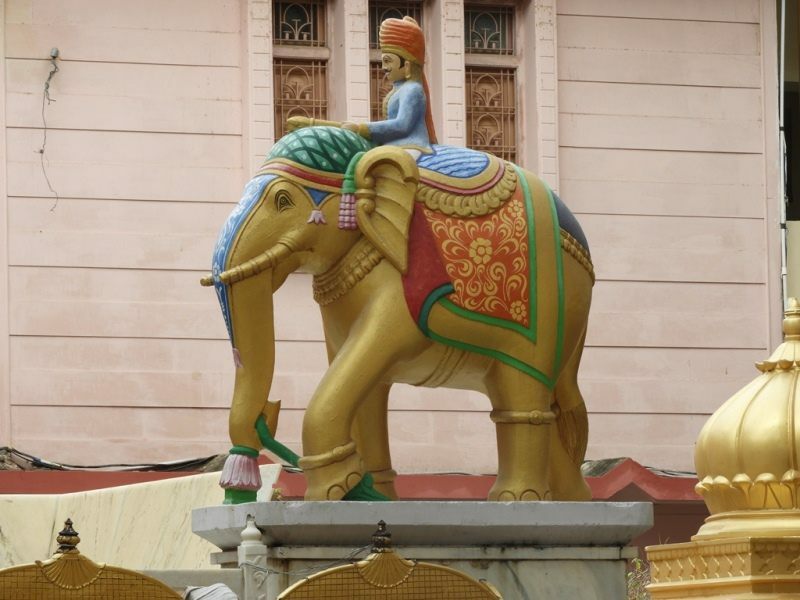 The Ghana Jain Temple dome is built by 100 Kg of Gold. The gold is donated by the people of the Jain religion of the nearby region to build the temple. It is the first Golden Jain Temple of India made by the Jain community. Inauguration of the temple was done by then Vice President of India Bhairon Singh Shekhawat. 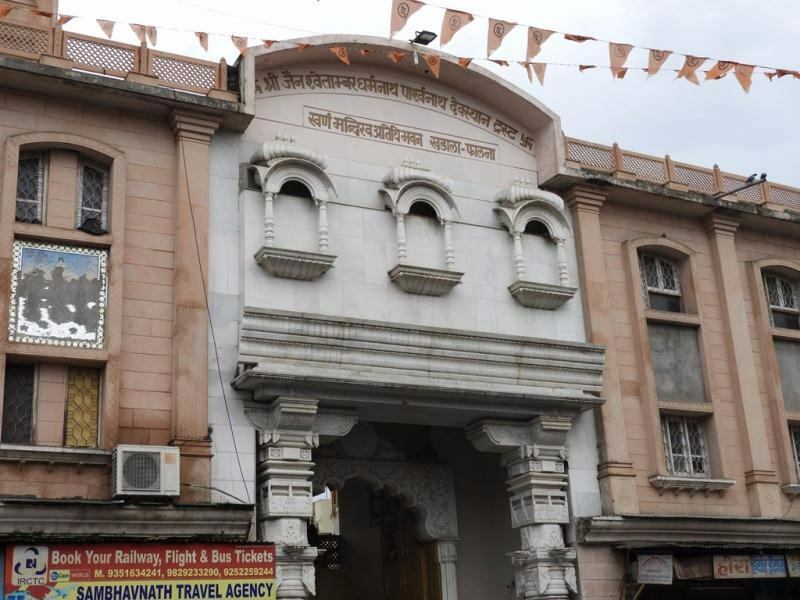 This temple belongs to Shri Shankeshwar Parshwanath Bhagwan and two feet idol in black granite is situated inside the temple. 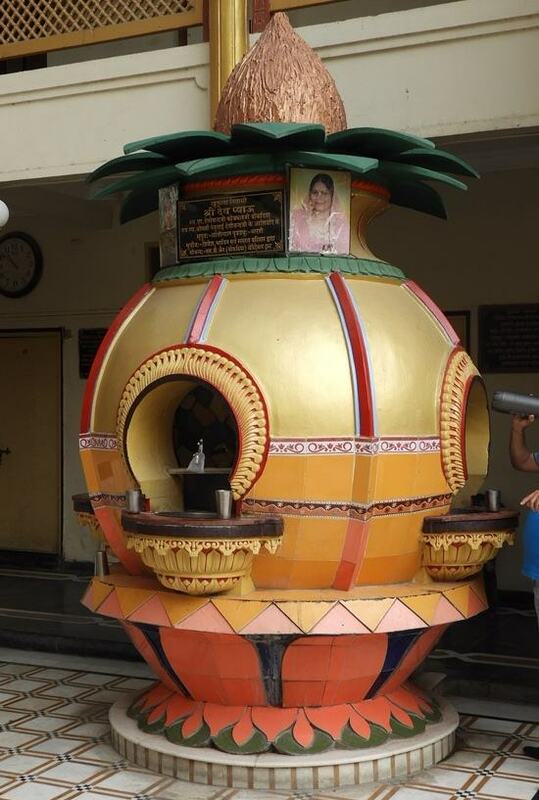 A beautiful Kaanch temple is located in the complex. Golden temple is beautifully built and the architecture of the temple is admiring. A guest house (Dharamsala) along with Bhojan shala is situated inside the temple complex. Bhojan Shal serves pure Jain food to their guests. Temple is surrounded by guest house rooms from three sides. Library, prayer hall, elevators are also situated inside the temple for the convenience of pilgrims. Multiple AC and Non AC rooms are available inside the temple complex. These rooms can be only booked by only the followers of Jain religion. Drinking water facility is also available inside the complex. Parking facility is not available here and parking can be an issue for the visitors. Decent attire is expected by the visitors of temple. Pilgrims wearing half pants, Lungi, Bermuda, capris are not allowed inside the temple. Temple is located in center of the city on State Highway 16. Falna Railway station is just 100 meter from here and 5 minute walking is sufficient to reach. Distance from Falna bus depot is just 1.7 KM. It’s an awesome place to visit, I think world’s 2nd temple which is made by gold after sikh gurudwara in Amritsar. I belong to falna (a place where this temple is situated) and this temple is pride of our town.